The Research Unit in Public Cultures is thrilled to announce the upcoming public lecture from Rod Quantock, OAM, the Chief Investigator of a 12- month creative research project, “The Last Tim Tam”, on Monday 24 July 2017, 6 pm, at the Greek Centre for Contemporary Culture. This event is hosted by the Research Unit in Public Cultures and The Greek Centre for Contemporary Culture. The project was made possible with support from the Office of the Vice Chancellor and the Melbourne Sustainable Society Institute at the University of Melbourne. Bringing with him a wealth of experience in comedy and performing arts, Rod Quantock has spent the last decade working on improving the public's awareness of climate change through performance. In 2015 he was awarded an Order of Australia Medal for his contribution to the performing arts, the environment and sustainability. Rod has spoken to Nobel Prize-winning scientists, science journalists, researchers and activists. He is up on the latest research because he believes that a smattering of physics, chemistry, biology (and history!) are essential to the understanding of climate change and its consequences. In The Last Tim Tam, Rod will continue his work on climate change awareness by creatively engaging with Australian popular culture to imagine the not-too- distant future. Collaborating with leading researchers in climate science, popular culture, the humanities and social sciences from the University of Melbourne, Rod will present future scenarios that will address specific aspects of everyday life in Australia in the 2030s - a decade which is near enough to be personal, but distant enough to plan for. Rather than presenting abstract figures and graphs, this project draws on the archive of Australian popular culture to reimagine the scientific, environmental, economic and political predictions about Australia's future through cultural touchstones of Australia's media present. How will Kath and Kim's suburban Melbourne lifestyles be impacted by rising average temperatures, resource scarcity and regular wild weather events? What ingredients will be available to contestants on Masterchef in 2030? Where, and how, will we 'Getaway' in the future? Presenting these creative scenarios on an online platform over a four- month period from February 2017, responses from the research community, science journalists and the general public will be collated, with the findings from all four scenarios presented to an industry and research forum. Each scenario will also inform a series of provocative media releases and media appearances by Rod to discuss the project. Three decades after the Kyoto Protocol was adopted and three years after the 2014 election and the repeal of the Carbon Tax, Australians appear to have reached a point of climate change fatigue. Warnings, graphs, numbers and figures which seem unimaginable and therefore impersonal are failing to motivate the public towards urgent and necessary change. The Last Tim Tam makes climate change very personal, and encourages Australians to think laterally and creatively about how our collective future might look, sound and feel. 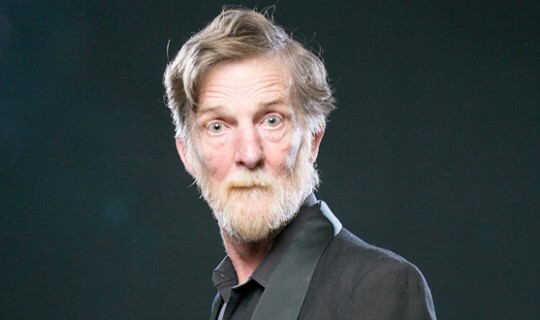 Rod Quantock OAM, is a pioneer of Australian comedy with more than forty-five years in stand-up, cabaret, theatre, television and radio. He is the only comedian to have performed at all 30 Melbourne International Comedy Festivals and one of the few – perhaps the only – to be awarded an Order of Australia for his work. It is not hyperbole to say that he is an Australian legend. Rod is known first and foremost as a very funny man but his reach extends beyond comedy into political and social activism. A passionate environmental activist and advocate for social justice, he lobs Molotov cocktails of mirth at the most serious of subjects. When you see Rod Quantock in action, you can be sure he’ll be talking about something of substance; he just may be holding a rubber chicken... For his trouble, Rod has received numerous awards over his 47 year career, but he’s perhaps most proud of his 2015 Order of Australia, his 2004 Sydney Myer Performing Arts Award (putting him in the company of such arts luminaries as Geoffrey Rush, Robyn Nevin, Nick Enright, Lucy Guerin and Paul Grabowsky) and his Honorary Associate Fellowship at the Institute of Sustainability at Melbourne University for his contribution to the environmental debate in this country. His career and contribution are unparalleled.